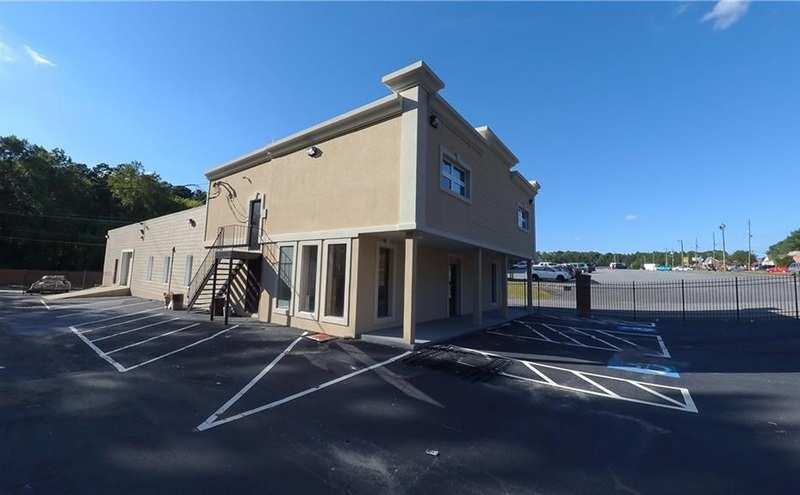 Extreme total renovation on office/warehouse/retail space on busy area of downtown Marietta Georgia. Four offices with reception area and separate outside entrance stairway, new windows, laminate wood flooring and carpet. Warehouse has windows, new flooring, new HVAC, and three loading doors, two ramps and extra unfinished storage area with dock high loading door. Parking lot has new asphalt, striping and complete security fence surrounding property. Excellent visibility adjacent to shopping center and a few hundred yards from Powder Springs Road.